The Button Fern can be successfully grown by a patient beginner or an intermediate Indoor Gardener willing to pay attention while it establishes itself in new surroundings. Once settled in, this is an easy-going fern, needing less care than many of its delicate, lacy relatives. 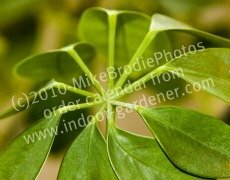 Very small, round, leathery leaves with a slight sheen to them grow along thin stems. The branches stretch to only about a foot long with a slight, gentle arch to them. 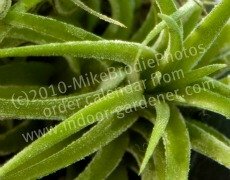 They grow quickly but stay small; you won't need anything larger than a 6- to 8-inch pot. 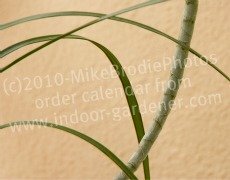 If happy, it can surprise its Indoor Gardener with up to 12 fronds curling up through the soil at once, usually in spring. As it ages it changes: the leaflets become more oval-shaped; the stems turn a dark red; the arches grow more pronounced; and spores appear. If the plant gets raggedy, you can trim back old growth down to the crown; you can also trim back any brown stem ends. Also called the Cliff Brake, the Button Fern naturally grows on limestone cliffs and rock faces. Even as a houseplant, it prefers to dry out a bit between waterings and likes less misting than other ferns. If you do grow other ferns, keep this one on a different care schedule. Finding the best water balance will be the tricky part. How often you water the Button Fern depends on the soil mix, the type of container (plastic, terracotta, ceramic), the season, the amount and kind of light, drainage, and the temperature and humidity of your home. As long as you don't over-water the Button Fern, you have a bit of leeway to experiment. Watch the tips of the fronds - if they're green, keep doing what you're doing! Be careful not to confuse the Button Fern with the Lemon Button Fern - they look quite a bit alike from a distance but have a different taxonomy, origin, and very different care needs. and their magazine is almost essential. Keep up with new varieties to grow, techniques for planting, and how to maintain health for your ferns. The magazine provides info for both indoor and outdoor enthusiasts. The Button Fern is a little tricky in its needs, so try one pattern of care, watch your plant, and try something else if it doesn't look happy. Brown tips mean it needs more humidity. Sources differ on the amount of light needed, how to water, misting, amount of humidity, dryness of soil, even soil mix - which is unusual. The only thing that seems to kill it quickly is a soggy root system, so be sure the soil is dry enough before you water again. Otherwise, it'll try to hang in there with you until you figure out what your fern needs. Once you've negotiated a successful care program with your particular Button Fern in your particular home, the plant becomes a very pretty, easy-to-care-for addition to any Indoor Gardener's collection. The Pallaea rotundifolia did not show up on any toxic-to-pets list consulted. The combination of dainty looking but leathery leaves makes the Button Fern interesting. One of the smaller ferns who's very happy being the center of attention, it's quite the show-off once it's settled into a proper care pattern. 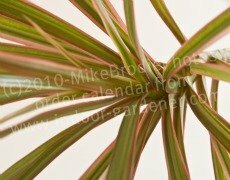 In spring, it can shoot up to a dozen new fronds from the soil at once. cliffs and rocks - "cliff brake"
DISCLAIMER: Indoor-Gardener.com reports information from research and does not guarantee any of the plants mentioned, for medicinal, decorative, or other uses. Neither the FDA nor any physician have endorsed the uses of plants mentioned on the website. Use plants as food or medicinal products only at your own risk.